Creating a drop down list in Excel is useful if you want to keep the amount of possible entry choices limited. This is also a good way to organize data and present it in list form. This tutorial will show you how you can present your data or choices in a clean and neat drop down list. I will be using Excel 2013, but you can follow similar steps on word 2010. 1.Enter all of your data into the table. For this tutorial I listed “Options” 1 though 4 in cells A1 through A4. Type in the title of your categories in cell D2. Then select the F2 cell which is where the drop down list will be created. 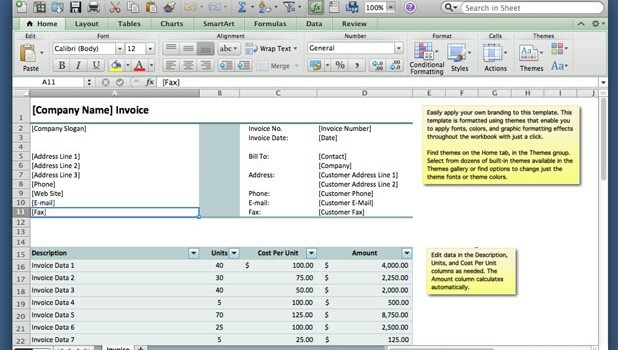 2.Select the Data tab from the Excel ribbon. 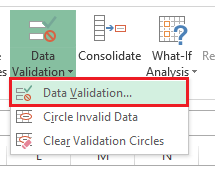 Under DATA, select Data Validation. 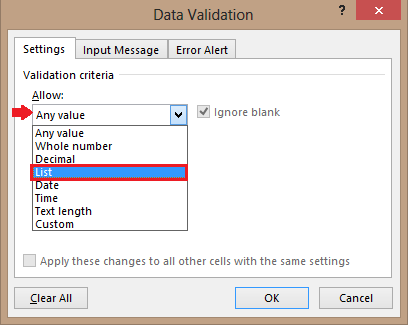 3.Under Data Validation select Data Validation… once more. 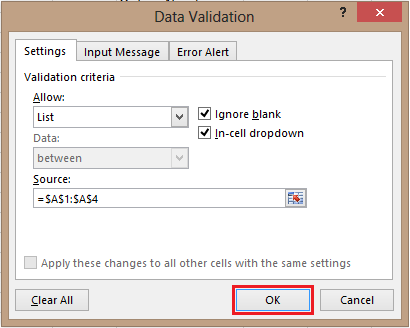 4.A Data Validation window should come up. Under Allow: select List from the drop down menu. 5.Under Source click on the Select Data button. 6.Now lets highlight our data. Select cells A1 through A4 and hit enter. 7.After the source has been selected click on OK. 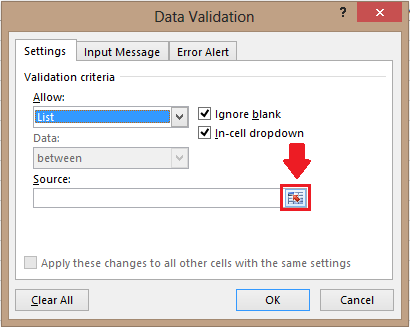 The drop down list will be created in the cell you had selected originally.